See the Whitsundays and Great Barrier Reef from an absolute underwater perspective! Venture to the most popular dive and snorkel destinations in the Whitsundays and outer Great Barrier Reef with the Divers Delight combo. Visit the northern Whitsunday islands, including Langford Spit, and then journey to the outer reef for the ultimate dive and snorkel experience! This package is suitable for both new and experienced divers looking to take explore the depths of our turquoise Whitsunday waters. Visit the Great Barrier Reef! Illusions is a comfortable 12 metre catamaran sailing daily from Abell Point Marina to the beautiful fringing reefs of Blue Pearl Bay, near Hayman Island, and to Langford Reef. It's a lovely relaxing cruise with plenty of deck space for sun bathing or spotting wildlife. There is also undercover areas for protection from the elements and a licensed bar on board. Explore and discover the amazing beauty of the Great Barrier Reef with this fun-filled adventure to Bait Reef. 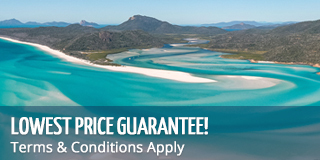 Explore's Full Day to the Outer Great Barrier Reef is an ideal way to see one of the world's greatest natural wonders. This trip is ideal for all types of adventurers with both scuba diving and snorkelling on the agenda. Discover all the reef has to offer at two different dive sites, where you will get to witness the vast marine landscapes, colourful corals, beautiful fish and inquisitive sea turtles. Scuba diving IS NOT included in the packages price and MUST be purchased at an additional cost. Those undertaking a refresher programme, or Introductory dive with Explore will need to complete a 1 hour pool session prior to departure. To view the sample menu for Illusions please click here. To view the sample menu for Explore: Great Barrier Reef please click here.